When it comes to using Google AdWords, most businesses focus their energy entirely on the search network. I don’t blame them—Google’s search ads are an incredible way to connect with users who are several stages deep in their buyer’s journey and close to making a purchase. Sometimes, though, waiting for customers to actively seek you out won’t cut it. When that’s the case, the Google Display Network is a great way to go. In this post, we’re going to take an in-depth look at the Google Display Network (GDN), why and when you’d want to use it, and how to use it to drive more conversions and brand awareness. When most people think of Google AdWords, they think of paid search ads—text ads that show up in relevant searches. 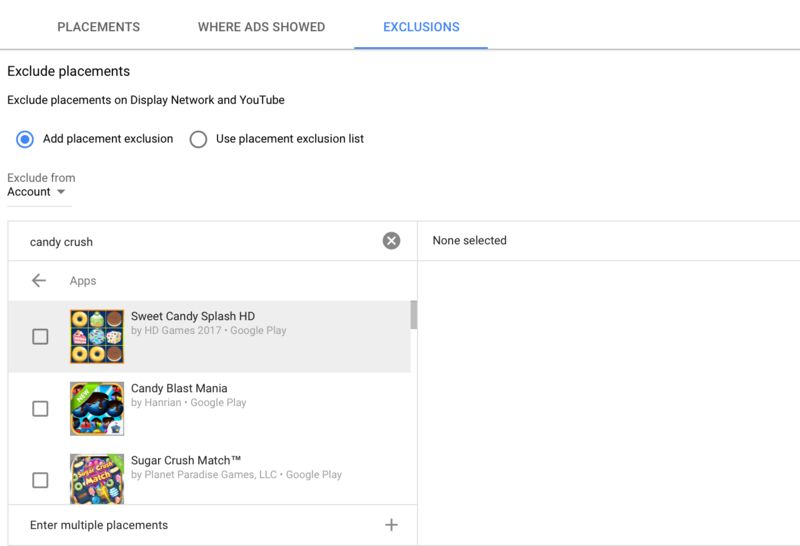 However, while Google Display Network ads operate within the AdWords interface, display ads work very differently from their paid search counterparts. For those familiar with Facebook Ads, the Google Display Network works in a very similar way. The biggest difference is that your ads won’t be limited to appearing on one website. Instead, your ads will be displayed in ad slots on different websites that users are browsing on across the web. They aren’t looking for you, but that doesn’t mean they aren’t willing to see what you have to say. Google Display Network ads come in a variety of sizes. For more information on these sizes, check out this article. Why Use the GDN Instead of Search Ads? Search network ads are incredible, because you can increase the likelihood that someone looking for brands like yours will see your ad on the very top of their SERPs. The downside to the search network, of course, is that you have to wait for people to be searching to find you. And then, once they do, you’ll need to stand out against 2-4 other ad placements sandwiched around yours. It’s still a worthwhile investment, but it does have some downsides, so using both the Google Display Network and search ads together can be an effective plan of attack. Display ads let you put your ad directly in front of customers without waiting for them to come find you. It lets you be more active in the discovery stage of the sales funnel, introducing people to your product even if they never knew they needed it (until now, that is). 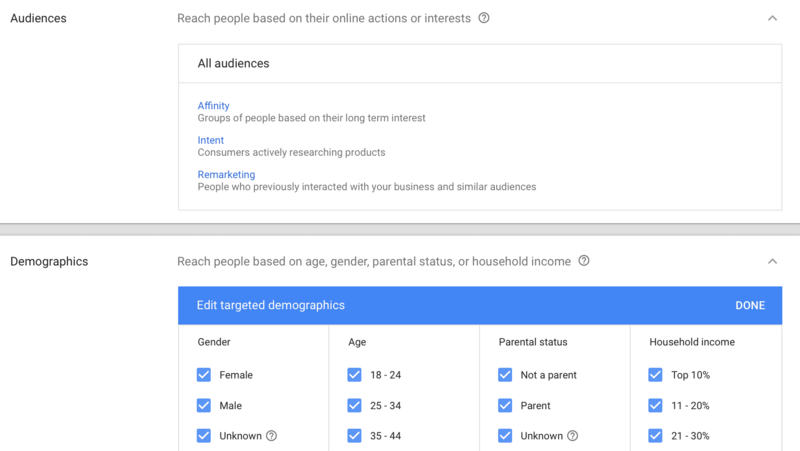 The Google Display Network gives you a lot more targeting options, including those based on remarketing or demographics. This kind of targeting options can help you connect with the exact right audience even if they haven’t connected to you yet. The GDN also allows you to run more vibrant, engaging ads than search ads. 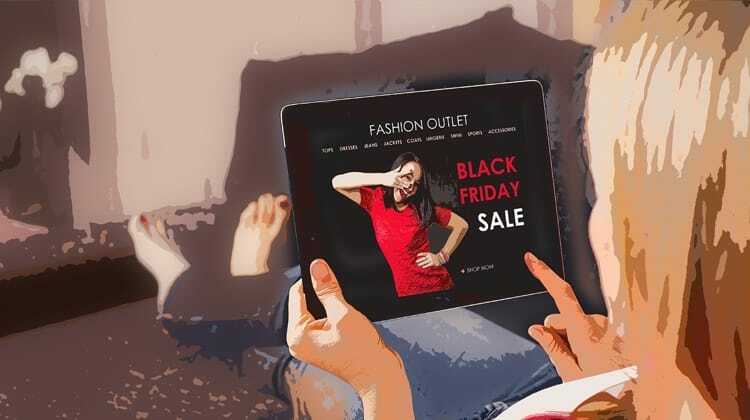 You can add images and videos to your display network ads instead of just text, which is automatically a plus for businesses with physical products. Since display ads show up on a large number of sites with enormous traffic, it’s a valuable platform that shouldn’t be overlooked. You can’t go wrong with running remarketing campaigns—especially when you are using the Google Display Network. Remarketing allows you to show your products and ads to people who are already familiar with it (and may have been viewing it on their own already). I know I can’t be the only one who has seen something that I loved online and resisted the urge to purchase, only to succumb several days later when it popped up in a display ad. 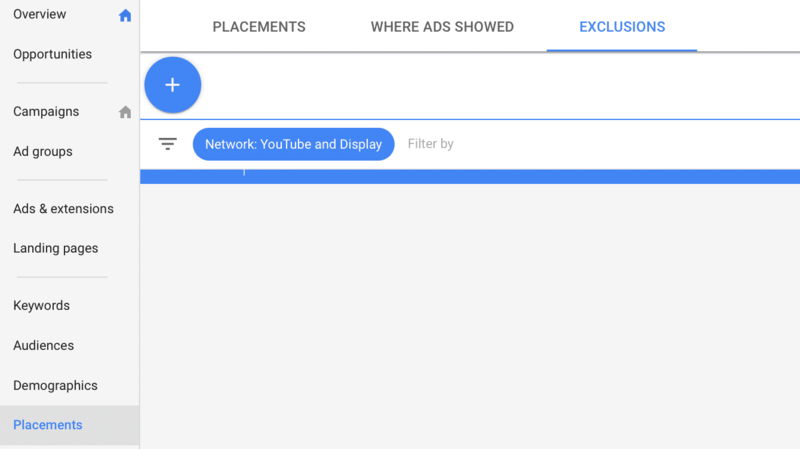 You can use the Google Display Network to show remarketing ads to people who have both just recently viewed your site, or those who haven’t been on your website for a while. Whether you’re using the ads like as part of an abandoned cart strategy or a re-engagement play, remarketing is a great place to start for these ads. Though I do recommend starting with remarketing campaigns when you’re using the Google Display Network (especially to test your message on the first round), display network ads can also still be exceptionally effective at appealing to cold traffic. When you’re targeting cold traffic, however, you’ll want to be a lot more particular about the placements in addition to targeting criteria. You should start with specific site placements. This allows you to choose which exact sites you want your ads to be shown on. A business selling hand-crafted cutely and cooking knives could, for example, place their ads on cookinglight.com and myrecipes.com. This helps ensure that though they’re targeting cold traffic, their target audience will be interested. This option can be found under “content targeting,” just above automated targeting and ad bid. While mobile game placements might seem like the ideal spot to showcase your ad (who is ever more involved in what they’re doing on a smartphone than people playing a game? ), it can actually tank your ad budget because of accidental clicks. This is never more true than when toddlers run amuck and are playing games on their parents’ phones, though it’s pretty common for people to click the wrong area on their phone and be taken to a landing page. I’ve done it before, and it is annoying when I’m in the middle of Candy Crush. Oh, and I just wasted a business’s ad spend in the process on an accidental click. Click on “Add placement exclusion,” and then enter in the names of the apps that you want to omit. You can shoot for all the big ones, but you can also go into your Google Analytics and see if any odd apps are sending you high amounts of clicks. Once you do this, you’ll be free of accidental and irritated clicks on your ad. The Google Display Network allows you to connect with users and potential audience members in a different way than the search network. Instead of waiting for users to come find you, you can go find them by placing your ads on sites where they’re already browsing. This is a huge advantage, and when combined with search ads, you can create valuable ad touch points to capture users at all stages of the sales funnel from discovery all the way down to re-engagement. Not sure if the Google Display Network ads are for you? Get in touch with us and see what we can do for you. What do you think? Do you use Google’s Display Network Ads? Which gets you more results—ads in the search network or the display network? What best practices do you use? Leave us a comment and let us know what you think! Hi Ana, Have you any examples of best practice for banner ads? Impressive article, but one thing I must mention, while going with placement targeting, many placements (site) are impression less, don’t know why, where I can see my competitors ads there also. I am sure they were not using re-marketing as the sector is health/Medical oriented. Any suggestions please?